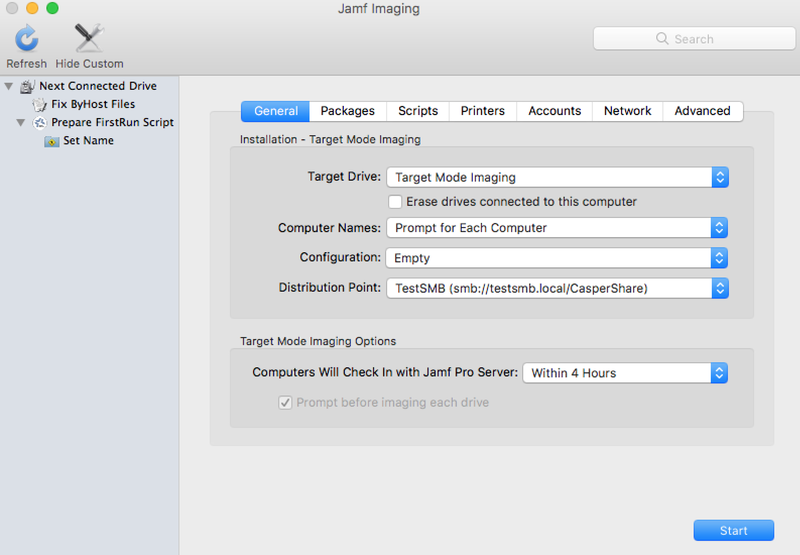 Target Mode Imaging (TMI) allows you to image multiple computers subsequently by connecting them to a host computer using a Firewire or Thunderbolt cable. 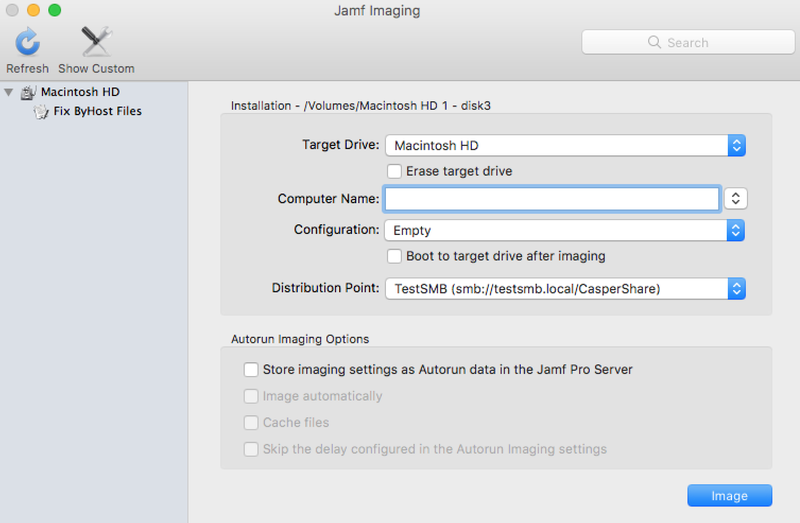 This can be ideal when using a network connection is not optimal, such as when imaging MacBook Air computers that do not have built-in ethernet. 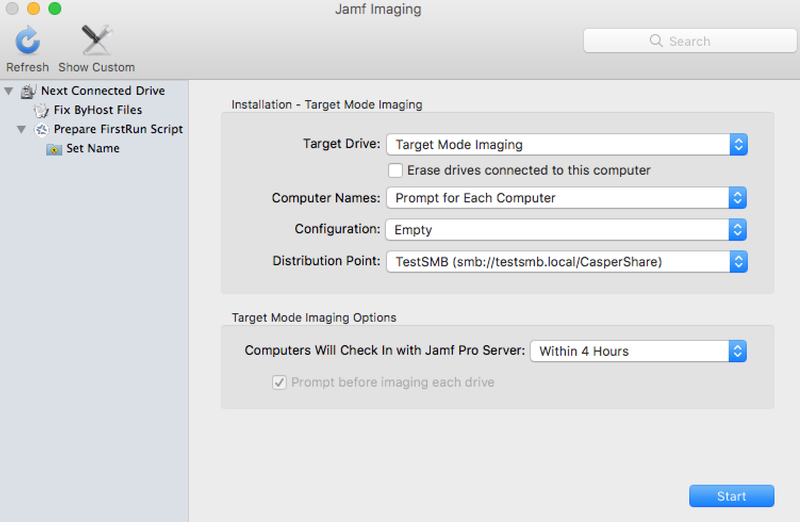 To use TMI, you run Jamf Imaging on a host computer instead of a NetBoot image or an external drive. Then you boot target computers to target disk mode and connect them to the host computer.